Register to receive our regular email newsletter at http://www.itpro.co.uk/registration. The newsletter contains links to our latest IT news, product reviews, features and how-to guides, plus special offers and competitions. Latitude D420 and D620 ATG models to get 32GB of solid state storage. Dell has begun shipping ultra-portable laptops with solid state drives (SSD). The two models, the Latitude D420 ultra-mobile and D620 ATG semi-rugged will be the first from the company to offer a flash-based drives instead of hard disk drives (HDD) on corporate notebooks. A SSD is a hard drive alternative based on flash memory. Unlike a traditional HDD which uses spinning discs and read/write heads, a SSD is designed with flash memory with no moving parts. As a result they provide better reliability and generate less noise. The new drives can also increase system performance by up to 23 per cent and decrease boot time by up to 34 per cent, said Dell, compared to the standard HDDs available with the Latitude D420 and D620 ATG. Dell's engineering tests show that the SSD has an operating shock tolerance of up to 1,300 Gs, which is twice the rating of mechanical drives. During extreme impact testing the surrounding notebook hardware broke before the drive. In addition, the drives are predicted to reduce the probability of failure by three-and-one-half times compared to standard mechanical drives. This will help reduce costs associated with hard drive failures, one of two top sources of system malfunctions in notebooks, according to research firm Gartner, and something that accounts for up to 45 per cent of total hardware failures. "A solid state drive is an excellent storage technology for our mobile users," said Kevin Kettler, chief technology officer at Dell. "We are committed to leading the industry in delivering these new drives and will offer them across Dell's next generation of Latitude products." SanDisk, which will supply the SSDs, said that Dell's decision to deploy them is highly significant. "This represents an important milestone in the evolution of personal computers with the arrival of solid state flash memory as a durable, efficient alternative to the hard drive," said Eli Harari, SanDisk's founder and chief executive. "For those enterprise road warriors who rely on their notebook PCs, hard drive crashes with attendant loss of critical data will soon be a thing of the past." The 32GB SSD is initially available in the Americas for $549, with Europe and Asia to follow "soon". The drive has the same shape and size as a HDD and uses the same connectors for integration into existing systems. A number of computer makers already offer SSD-based laptops, including Sony, Samsung and Fujitsu. Social Bookmark this article: What is this? You need to Login or Register to comment. CERN's Large Hadron Collider isn't just the largest experiment in history, it's also a massive IT project linking hundreds of thousands of computers - and could change how we share and analyse data. Where will IT be in 2015? Is Toshiba rebooting the format war? USB Flash Disks: A modern day business curse? Blu-ray's mountain to climb: is the format war really over? Blu-ray and HD DVD - Where are we now? 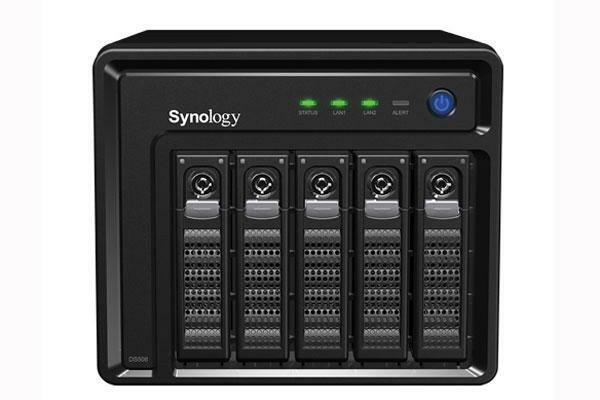 The majority of desktop NAS vendors have always made a big play for the consumer market but with its latest Disk Station, Synology wants a piece of the small business market too. IT PRO speaks to Steve Murphy, UK Managing Director of storage technology specialist Hitachi Data Systems. BeckyCam , have you seen it yet? Want more background on today's hottest IT trends? Visit IT PRO's white paper library for more on virtualisation, encryption and other topics. You'll get exclusive member benefits including free white papers, downloads, Webinars and weekly newsletters full of the latest IT PRO news, reviews, insight and expertise.